“Craig the sound guy” also subs on alto and tenor sax with On Air. For more than 25 years, he’s mixed audio and performed with the Sacramento salsa band Conquista Musical. 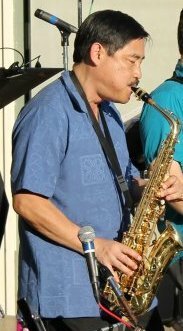 Craig received a BA and MA in Music from his alma mater, CSU Sacramento, and is semi-retired from a career in higher education administration. He and his wife lives in Elk Grove and his son works in the bay area.